Review: The Mynabirds, 'Lovers Know' Recorded in both the Northern and Southern hemispheres, this is a record with an explorer's heart. Laura Burhenn is the travelin' kind. If the philosopher Martin Buber was right, that "all journeys have secret destinations of which the traveler is unaware," then Burhenn is a proprietor of known unknowns. Lovers Know, her latest LP performing as The Mynabirds, was recorded in Los Angeles, Joshua Tree National Park, Nashville and Auckland, New Zealand. Before making this record, she left her home base of Washington, toured with The Postal Service, traveled alone to South Africa and then the U.K. to play her first solo shows in those places, and, upon returning stateside, made her new home in California. No song on Lovers Know is obviously the product of one place over another, but the entire record is shot through with sonic wanderlust. This is clearly a record with a restless explorer's heart. 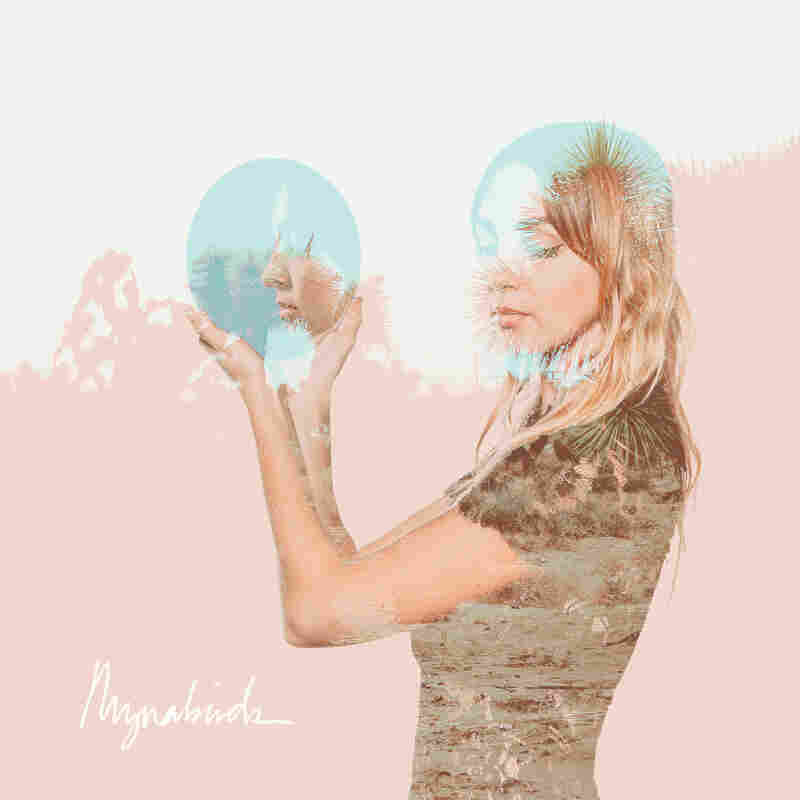 The Mynabirds has always produced multifaceted, intricate indie pop songs, usually centered around Burhenn's rich, throaty voice and her keyboard, played sometimes for fizzy fun and sometimes for poignant melancholy. Lovers Know is certainly both multi-faceted and intricate, but it's also writ larger than anything else Burhenn has done with The Mynabirds. It relies heavily on a Casio keyboard (not exactly the one she used to play NPR's South X Lullaby, but close), which lends an '80s ballad throwback feel to "All My Heart" and "Wildfire," tech-savvy, futuristic soundscapes to "Believer" and "Say Something," and a little of both to "Semantics" and the distinctly Sega-adjacent "Shake Your Head Yes." Burhenn's voice sounds well-traveled, due in part to her low vocal range and her restrained, deliberate delivery, but never crosses over into world-weariness. Lovers Know sounds like a collection of jewels, bright and eclectic, collected from points near and far, and Burhenn sounds like a wanderer who knows exactly where she's going.